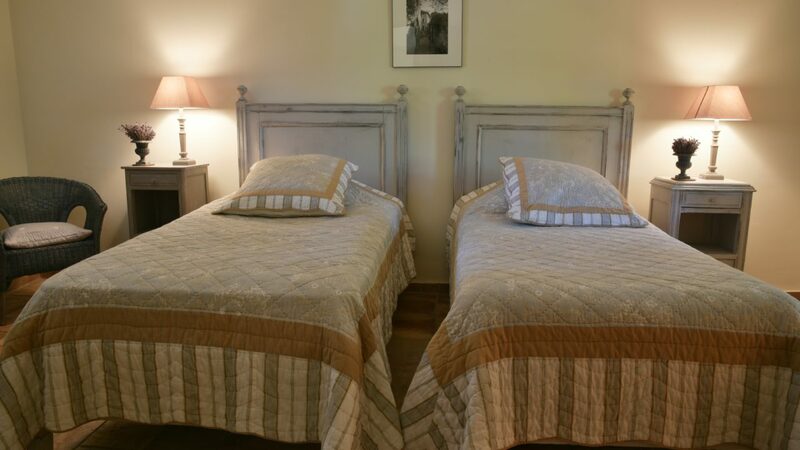 Bedrooms 1 and 2 are in the Old House and have king size double beds. 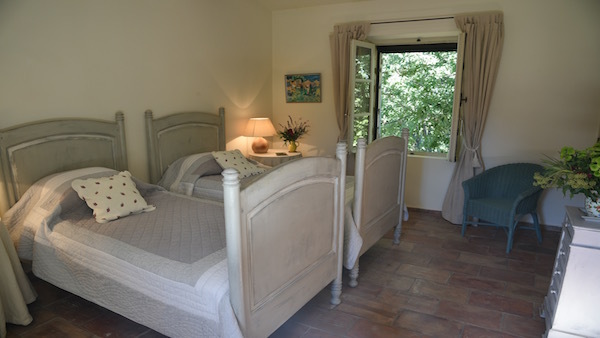 Bedrooms 3, 4 and 5 are in the adjoining Garden House with twin beds that can be pushed together for super-king double beds. 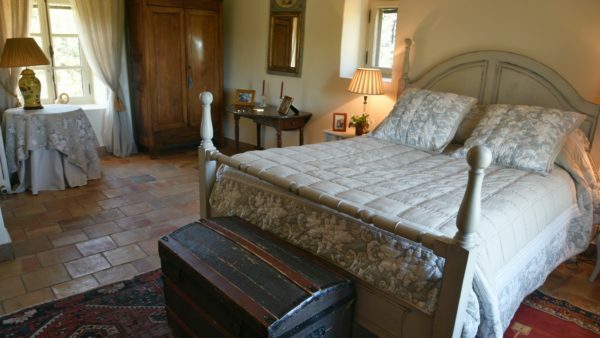 Bedroom 1 is in the Old House and has exposed wooden beams, a king-size double bed and wonderful views over the vineyard towards Mont Ventoux to the front and courtyard and pool to the rear. 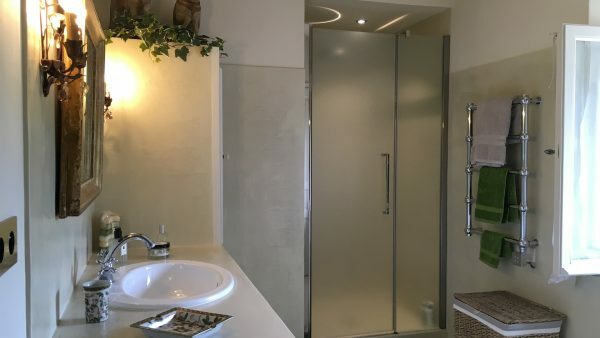 An en-suite tiled bathroom with walk-in shower and separate lavatory leads off the bedroom. 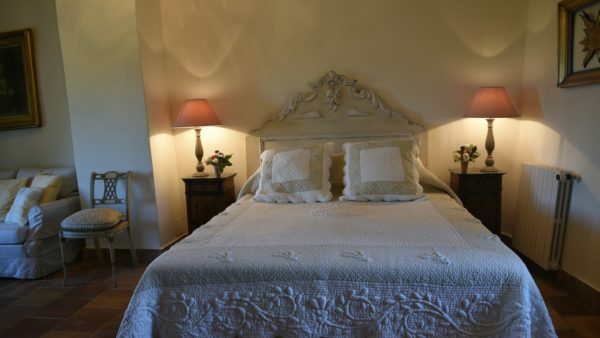 The room is beautifully decorated with eclectic art works creating a sophisticated ambience. 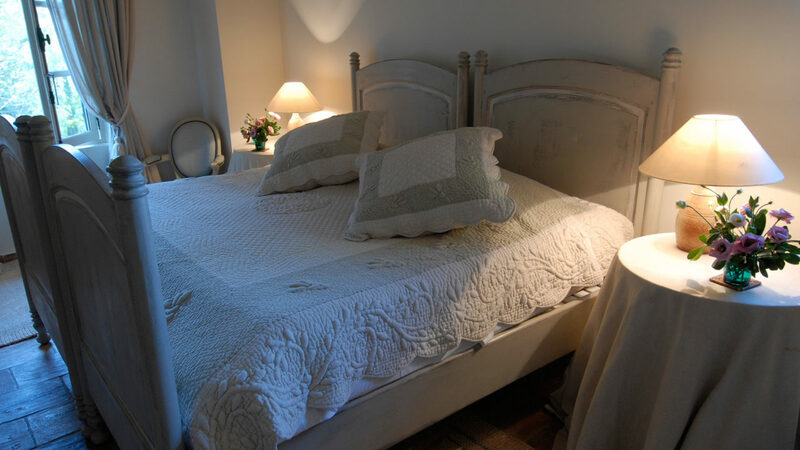 Bedroom 2 in the Old House also has exposed wooden beams, a king-size double bed with similar views to Bedroom 1, a sofa for quiet moments of contemplation and plenty of books to enjoy. 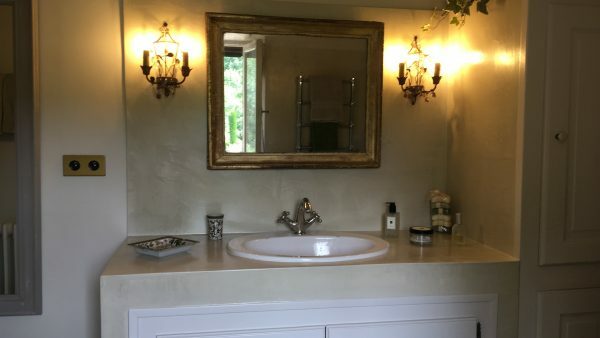 There is a separate bathroom with bath, shower and lavatory immediately next to Bedroom 2 on the landing. 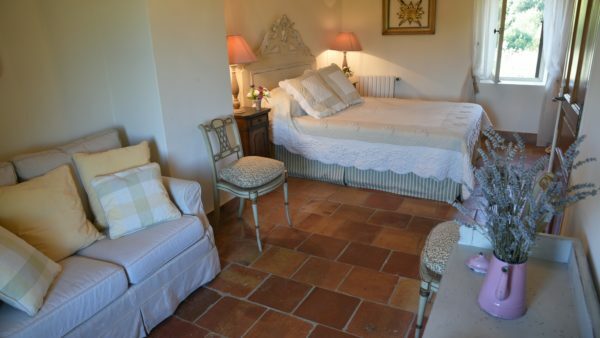 On the ground floor of the Garden House is a large double aspect bedroom with two single beds (which can be pushed together to form double beds), a built-in wardrobe and an en-suite bathroom comprising walk-in, tiled shower and basin. There are views over the courtyard and garden. Bedroom 4 in the Garden House has exposed wooden beams and is on the left hand side as you ascend the stairs. 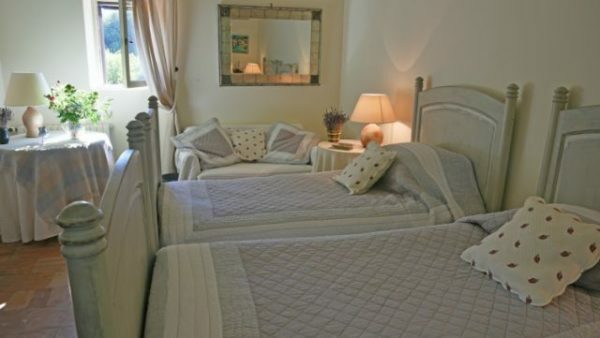 It is a large room with double aspect and twin-beds (which can be pushed together to form double beds). There is an extensive wardrobe and views over the garden. Bedroom 5 in the Garden House has exposed wooden beams and is on the right hand side as you ascend the stairs. 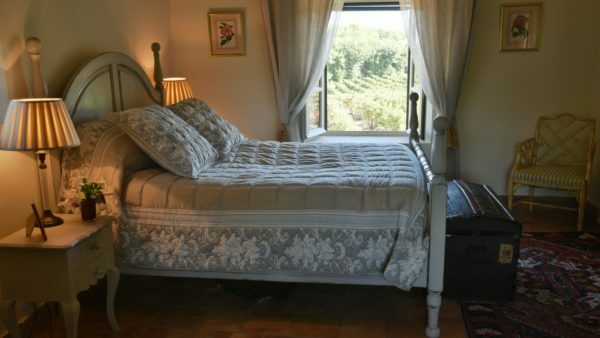 It is a large room with double aspect and, again, is a twin-bedded room (which can be pushed together to form double beds) with a large wardrobe and views over the garden.